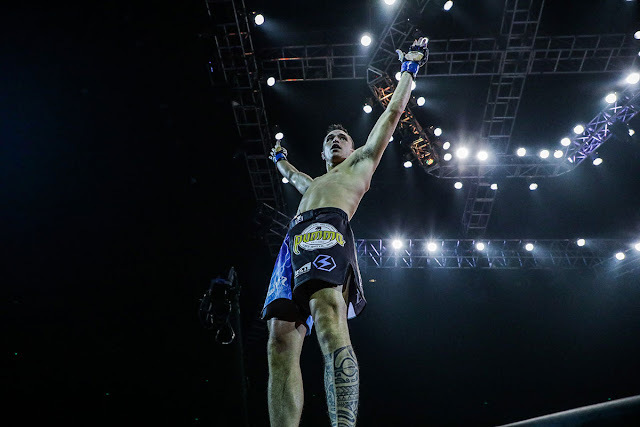 Despite the recent change of opponent in his return to the ONE Championship cage on 9 March, Filipino-Australian dynamo Reece “Lightning” McLaren keeps his sights on having his hand raised in triumph. McLaren was originally penciled to challenge Adriano Moraes for the ONE Flyweight World Championship in the main event of ONE: VISIONS OF VICTORY, but the Brazilian champion pulled out of the contest due to an injury. ONE Championship found a late replacement in Malaysia’s Gianni Subba, who was supposed to duke it out with former world title contender Danny Kingad on the same card that is set to take place at the newly-renovated Axiata Arena in Kuala Lumpur, Malaysia. “I was excited about my bout with Adriano Moraes because it would have been a clash of two best flyweights that are entering their primes. However, there are circumstances that are beyond our control. It is what it is,” McLaren said. Last November on the undercard of ONE: LEGENDS OF THE WORLD in Manila, Philippines, McLaren recreated himself as a flyweight, making his presence felt in the weight class immediately against top contender Anatpong Bunrad. With a mere eight seconds remaining in the very first round, McLaren caught Bunrad in an anaconda choke and then transitioned into a D’arce choke to force the tap. Based on the impressive outcome of his flyweight debut against Bunrad, McLaren was awarded with a shot at the division’s top prize. Even though he lost his opportunity to vie for a world title for the second time in his professional career, McLaren took the situation in stride and wished Moraes a speedy recovery. “I am slightly disappointed, but it is safety first. If I was the one sick or injured, I would not compete either, so I hope he recovers fast and gets back on track,” he stated. With Moraes out of the picture, McLaren turns his attention to Subba, who has been a household name in ONE Championship’s flyweight division, facing the likes Eugene Toquero, Saiful Merican, Anatpong Bunrad, Riku Shibuya and current ONE Interim Flyweight World Champion Geje Eustaquio. “Gianni Subba is my new opponent now, and I need to adapt quickly to his style. But our game plan is still the same, and I will execute that on 9th of March,” he declared. A winner of six of his last seven bouts, Subba is a seasoned athlete with a stellar 9-2 standing in his young career. Furthermore, five of Subba’s nine wins have come either by submission or by crowd-pleasing knockout. McLaren expects Subba to leave everything on the line as the Malaysian standout is driven to elevate himself in the upper echelon of ONE Championship’s 61.2-kilogram weight class. “I see this match as a very exciting one because I know that Gianni Subba is a well-rounded martial artist. He is hungry because I know he wants to be in my position,” he explained. The stakes are incredibly high for McLaren, unveiling that he is preparing himself to be in the best shape of his life against Subba at ONE: VISIONS OF VICTORY. McLaren knows that a convincing win over a division mainstay like Subba will leave no doubt that he is the rightful contender for the ONE Flyweight World Championship title. “I am not taking him for granted, which is why I am completely focused on my upcoming bout. This is a dangerous game we play, and we cannot underestimate anybody. I need to be at my absolute best. I will do my best to ace my test this March 9,” he ended.